Cherokee Workwear scrubs for men and women are know for comfort without without sacrificing the functionality that every healthcare professional needs to do their job. Workwear scrubs are durable soft, with lots of stretch. Moisture wicking, and easy care are the hallmarks of Cherokee WorkWear scrubs. Browse, shop, or just hang out - its all good when you&apos;re shopping at Jens Scrubs. Free Shipping all orders over $49.00. Rewards Members Save More. The Cherokee Originals scrub collection is a line of nursing scrubs has become well-known as the gold standard for healthcare professionals across the field whom opt for a practical and reliable choice of scrubs. Freedom of movement is at the top of the list when it comes to function and the Cherokee Originals stretch fabric ensures you move freely like the Declaration of Independence. 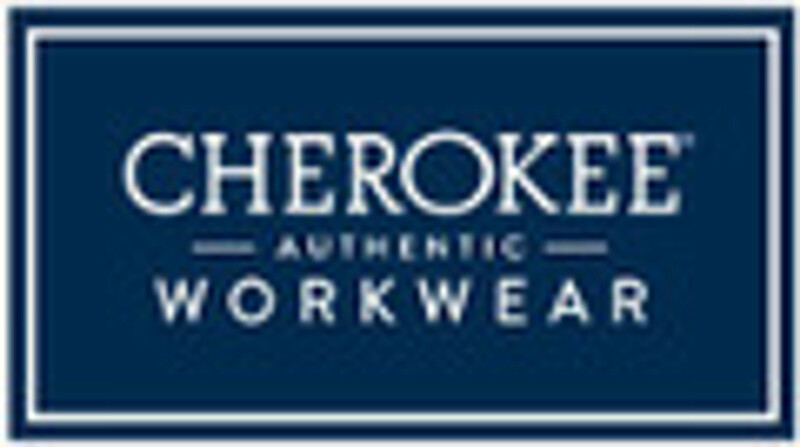 Checkout the newest from Cherokee Workwear at Jen&apos;s Scrubs. The Cherokee Workwear Revolution collection lives up to it&apos;s name as a line of scrubs that is revolutionary in its design. Modern classic fits with multiple pockets and two-way stretch fabric. These scrub tops and scrub pants will appeal to anyone looking for a modern styled scrub. When asked to describe the Cherokee Workwear Revolution collection, durable & soft are the two adjectives we hear most often. Checkout the latest Cherokee Revolution Styles. The Cherokee Core Stretch scrub collection is performance-driven and designed for the athletically-inclined, stylish health care professional. Highlights include special attention paid to the details of each garment and features that include two-way stretch fabric for unmatched comfort. Shop the latest Cherokee Workwear Core Stretch styles and colors at Jen&apos;s Scrubs. The Cherokee Workwear Flex Collection is known for its fabric infused with antimicrobial & fluid-resistant technology. This proprietary technology in this line of nursing scrubs is great protection from spills & splashes on the surface of your garments. Fashionable details such as the Mid-Rise Moderate Flares lend style to these scrubs, giving them a streamlined silhouette and modern look. Find the newest Cherokee Workwear Flex Scrubs at Jens Scrubs.